Next-Gen Awareness Sophos Clean is designed to discover viruses, trojans, rootkits, spyware, and other malware on up-to-date and fully-protected computers. This is next-generation technology to fight against next-generation malware. No Installation Required Sophos Clean is a signatureless, on-demand malware scanner that's just 11 MB and does not need to be installed. You can run it from a USB flash drive, a cd/dvd, or from network attached storage, which is nice if malware is manipulating the installed antivirus software and its updates. Sophos Clean works as a standalone, on-demand malware scanner. Use it alongside your existing antivirus to catch next-generation malware that has no immediate detection signature. The best way to protect yourself is to use the best protection available. 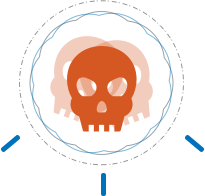 Our next-gen endpoint is sophisticated yet simple and works in conjunction with Sophos Clean.